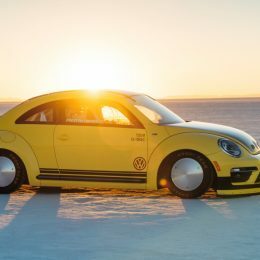 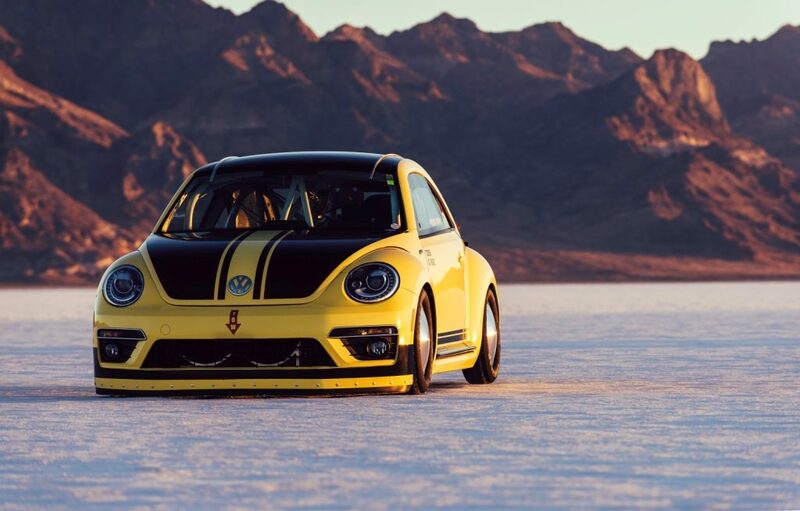 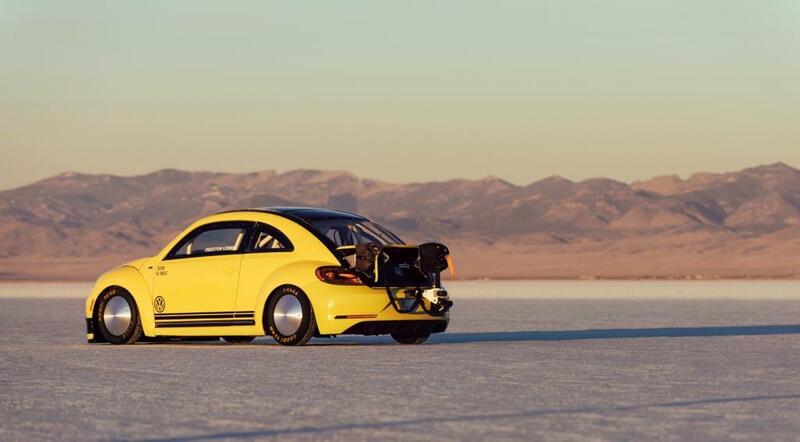 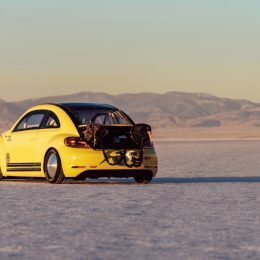 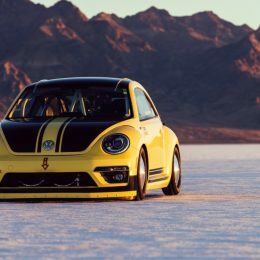 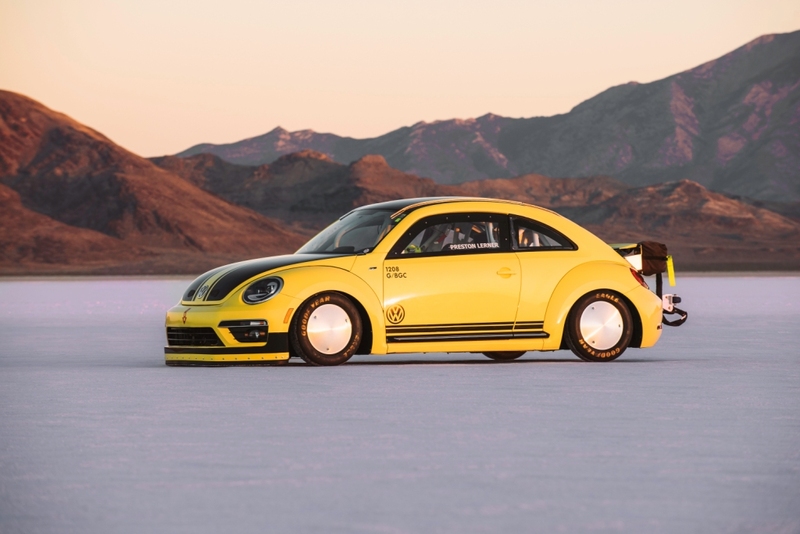 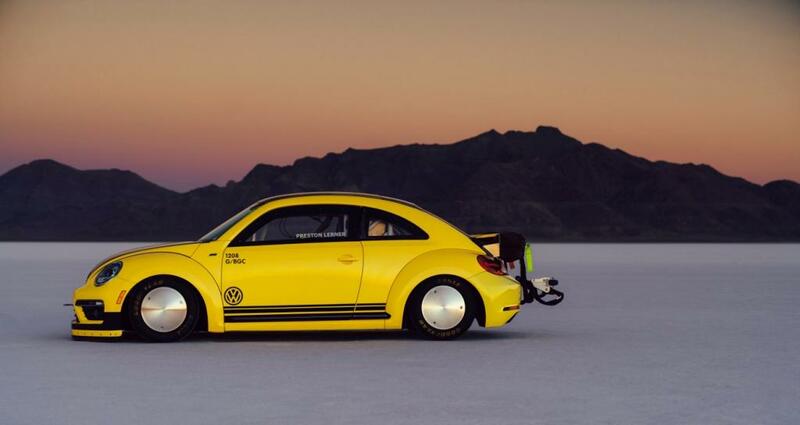 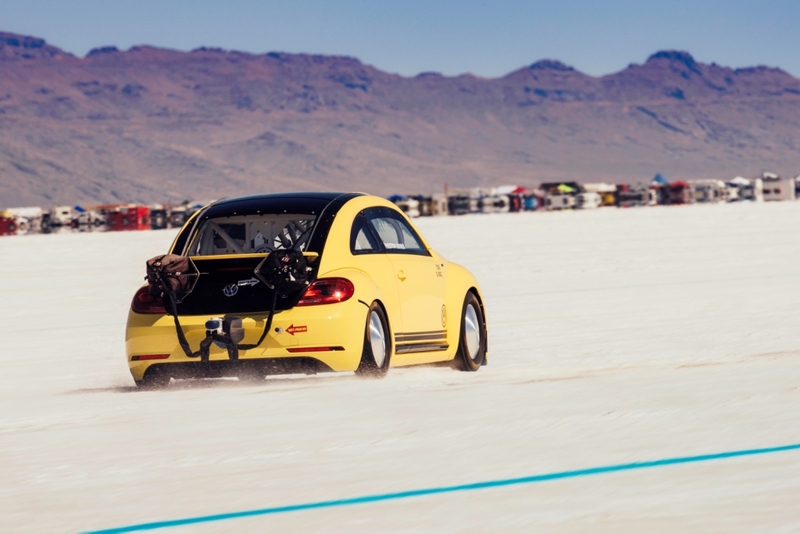 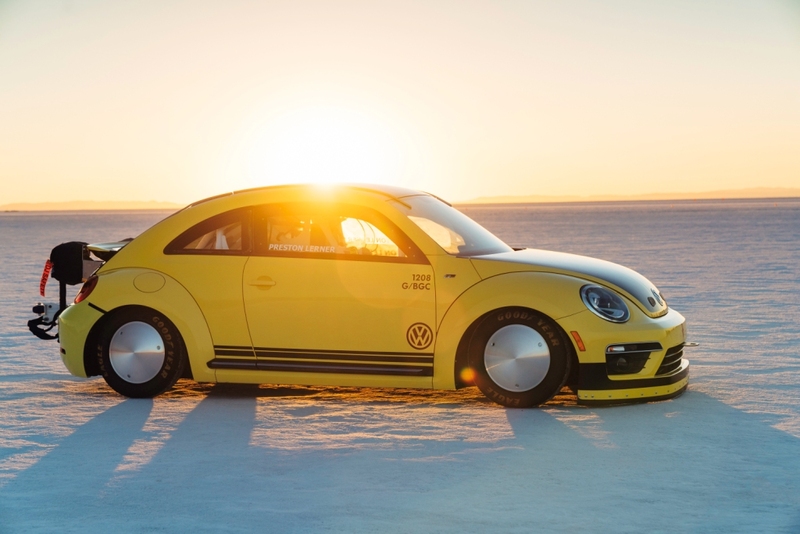 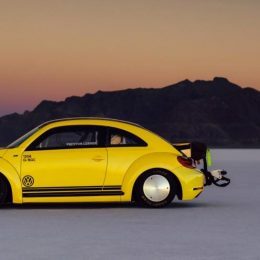 Volkswagen of America, Inc., announced that its specially tuned Volkswagen Beetle LSR, powered by a 2.0-liter turbocharged, direct-injection four-cylinder TSI® gasoline engine, has achieved 205.122 mph over a flying mile—the fastest speed ever recorded for a Beetle. 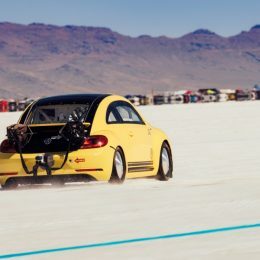 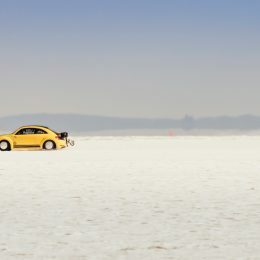 The car was driven by Automobile magazine contributing Editor Preston Lerner on the famed Bonneville Salt Flats in Wendover, Utah, at the Utah Salt Flats Racing Association (USFRA) 2016 World of Speed event. 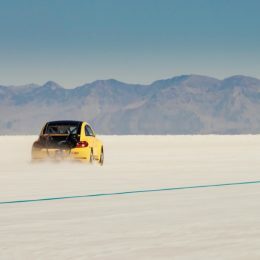 To achieve the horsepower needed to run above 200 mph at Bonneville, while adhering to Southern California Timing Association (SCTA) G/BGC rules, the powertrain was specially modified by THR Manufacturing, based in Santa Paula, Calif. With new turbochargers, pistons, camshafts, connecting rods, and head modifications, it produced 543 horsepower and 421 pound-feet of torque at the wheels: at the flywheel, that would be more than 600 hp and nearly 500 lb-ft.
Obviously, the Beetle had many other changes. 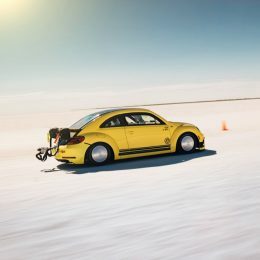 The suspension was lowered, special Salt Flat wheels and tires fitted, a limited-slip differential added to aid traction, and the interior was stripped and outfitted with full safety equipment, such as a rollcage, racing seat and harness, and a fire suppression system. 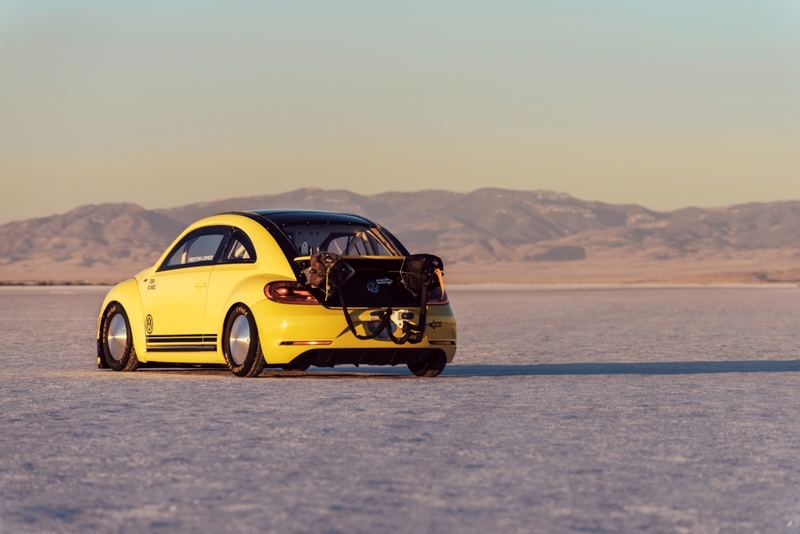 Plus, to help slow the car down, the Beetle was fitted with a pair of parachutes. 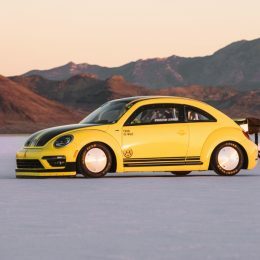 Volkswagen’s stock Beetle R-Line® coupe model features a EA888 turbocharged and direct-injection 2.0-liter TSI engine that makes 210 horsepower and 207 pound-feet of torque (achieved using premium fuel), enabling the car to accelerate from 0 to 60 mph in just 6.6 seconds and to reach an electronically governed top track speed of 130 mph. 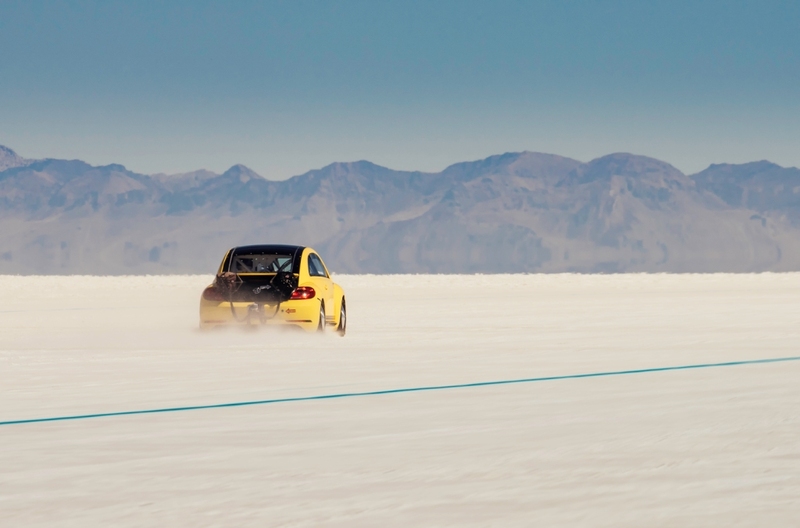 The engine delivers peak torque from as low as 1700 rpm, giving smooth, effortless acceleration in all the gears. 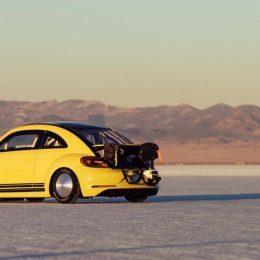 The R-Line comes standard with a six-speed manual transmission, but a dual-clutch DSG® six-speed automatic transmission is optional.